Creating a Gig Poster was a tough task for me. When I first started, I thought this was going to be an easy task, but I was wrong. It took me for a whirlwind. 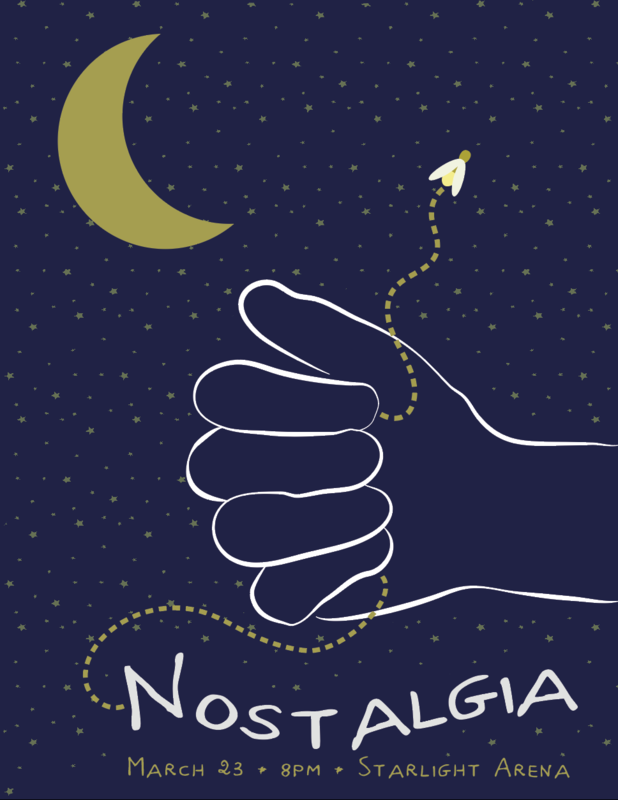 We had to come up with an original concept using our sketch to create a vector illustration that turned into a gig poster for an event that posed a feeling. The event had to be a band playing at a venue with a time and date, and the band name needed to be fake. When I first started to sketch, I put all distractions away and turned on the band M83. Listening to them made me feel free and floaty. I thought about times when I was free, mostly as a little kid. I came up with the idea of the times I would go catch fireflies at night, without a care in the world. So, that sparked my idea of creating a jar of fireflies that were caught at night. I drew many sketches of how I could portray the jar, and I came up with one I really liked so I threw it into Illustrator. 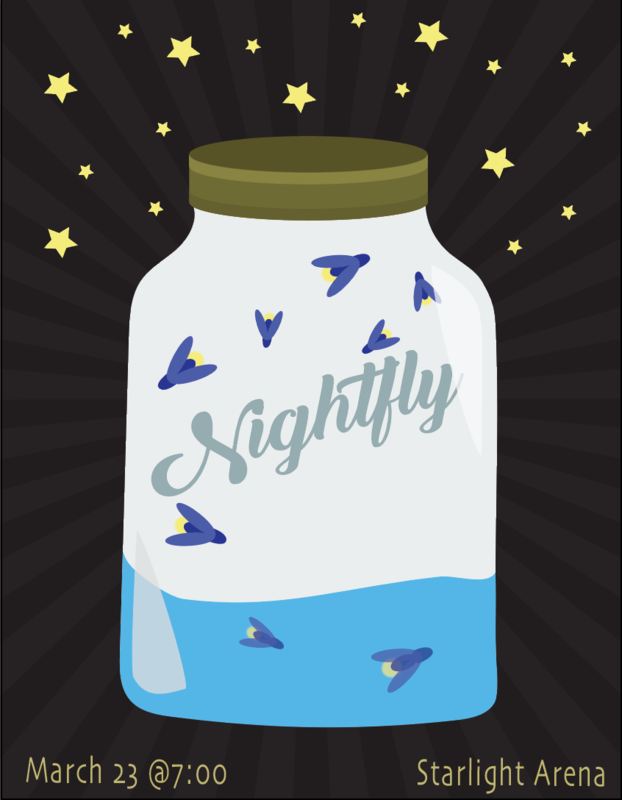 I started to like where it was going, but I wanted to add a strange element that you wouldn’t normally see in a firefly jar, which was water. 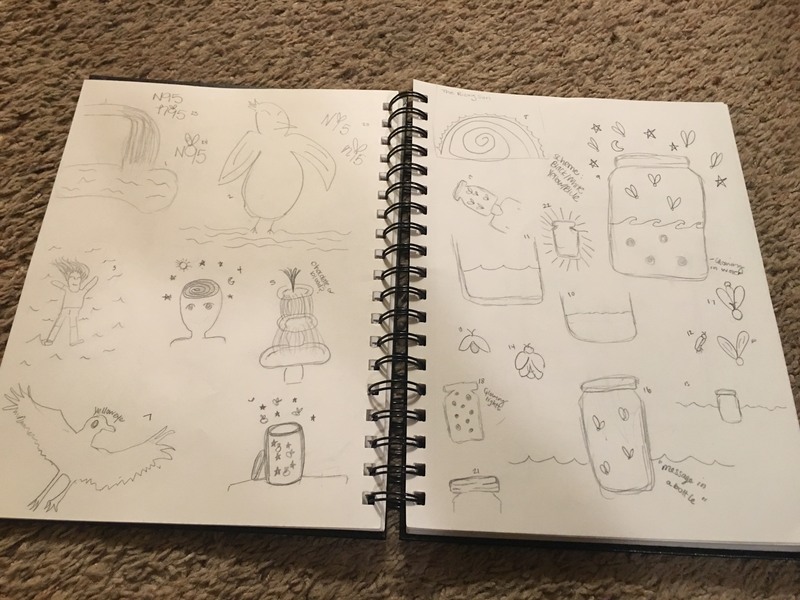 The water was then added to my sketch. I also wanted to show that it was at night, so I added a sunburst for some reason. I posted my sketch on slack to get some feedback and people had told me they liked it but to change up some things. 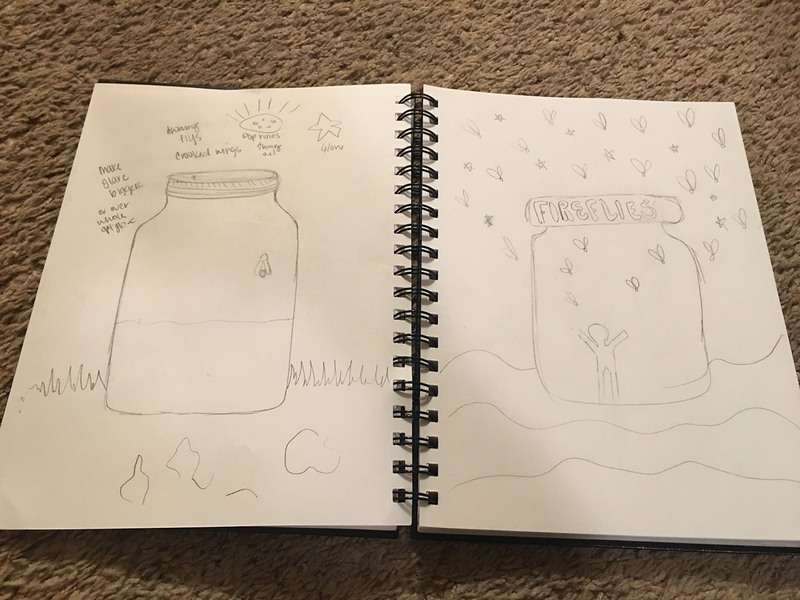 I got feedback again, and I was told I needed to make the idea I had of catching fireflys something someone could feel, rather than the after the moment is over and all the fireflys are in a jar. That made sense to me. How could I portray a feeling, if the moment had already happened in my poster. I began thinking again, and turned to my sketchbook. I opened back up my sketchbook, and started to draw. Some ideas came to be, but it still wasn’t how I wanted the poster to feel. So, I did something strange, but I needed to clear my thoughts. I took a 20 minute nap. When, I napped, my brain was able to relax and wonder. And then, I came up with my idea. I went to my peers about my idea that I had came up with. People liked it, but I still needed to refine it. The hand needed some work as well as the text. I took a picture of my hand for a reference. So, I went into Illustrator and changed it up a bit. I decided that I needed to get some more feedback on my project, so I went into see my professor. 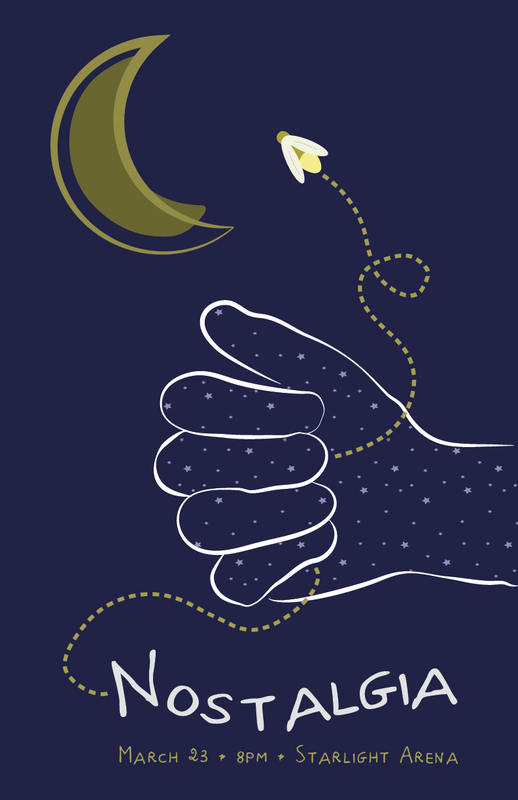 I needed more work on the hand, moon and bug. 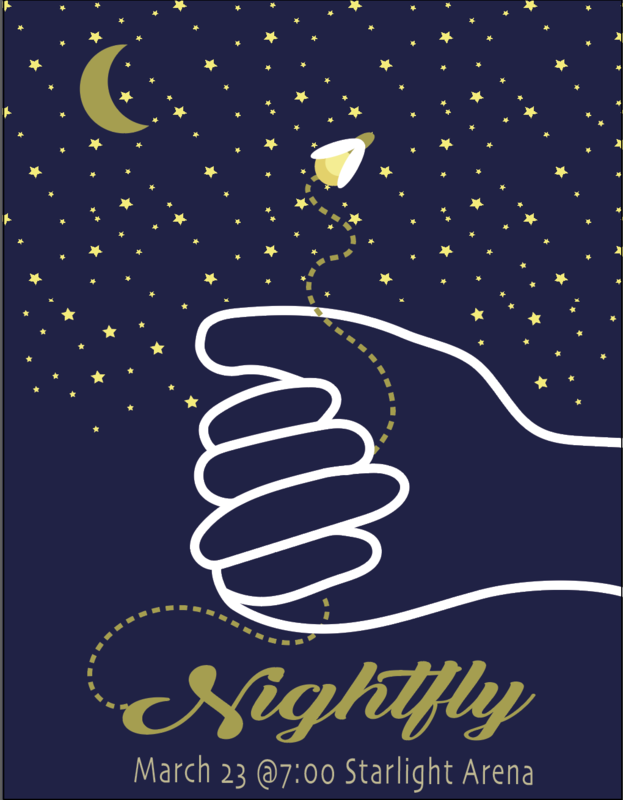 I worked on the poster for the rest of the night, this was my first changed draft. After spending five hours in one sitting completing the project, I am happy how it turned out. This project pushed my creative boundaries and helped me to see that I can always do something more. 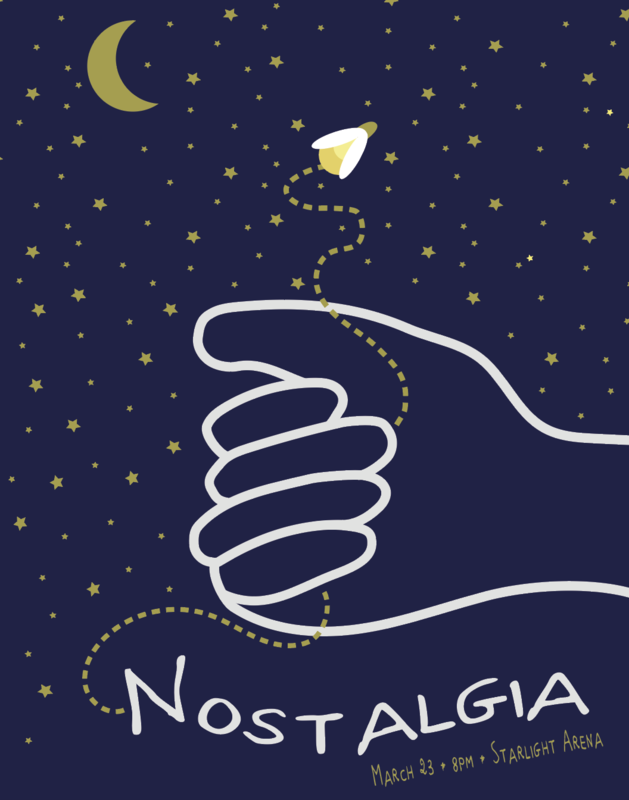 I love that I was able to bring out the childish side in the poster and play off that to create a nostalgic, ambient, chill feeling. This project will always be a reminder to me that there is more to be learned.